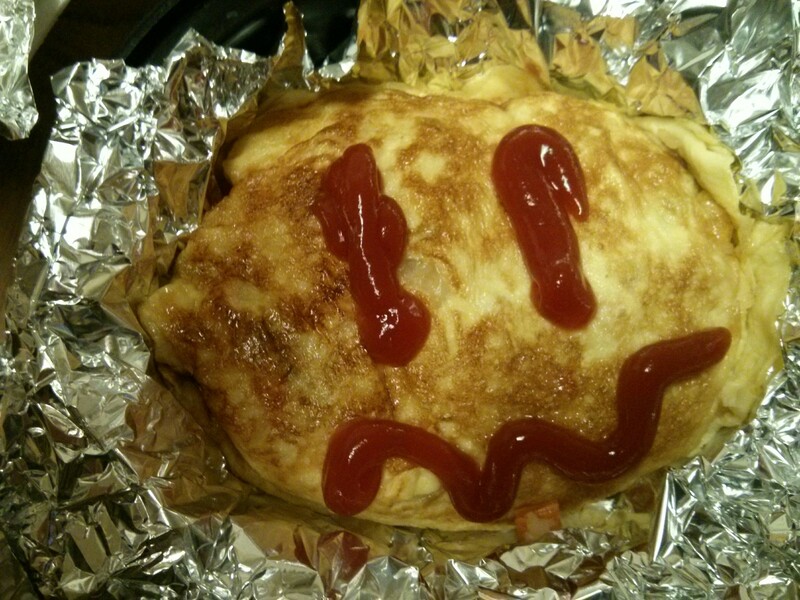 I had previously mentioned trying Omurice during my visit to Japan so I thought, why not try to make it myself? 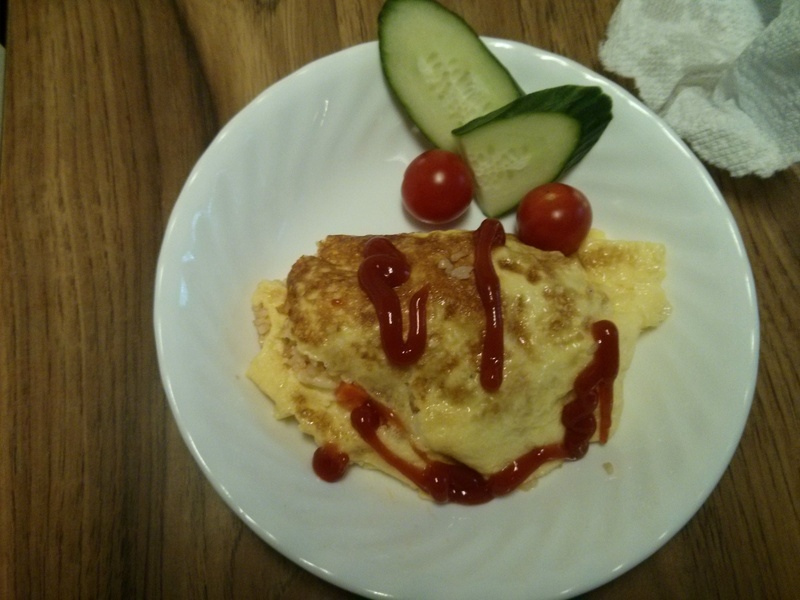 During my first attempt, it went better than expected when it came to creating the fried rice inside the omelette but as you can see the smiley face looked more like the joker. Hehe. However it did get a little better as I practiced on a few more Omurice and I ended up packing up some for my cousins to take home. My piping skills are rather mixed at the moment but hopefully it will get better soon! Categories: Food & Sweets | Tags: Fried Rice, Fushion Cuisine, Japanese Cuisine, Omelette, Omurice | Permalink. 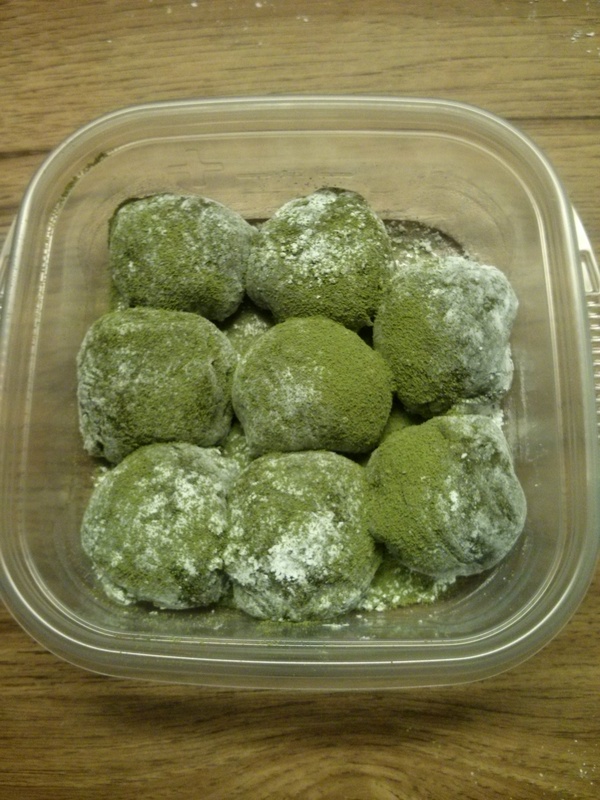 Categories: Food & Sweets | Tags: Dessert, Green Tea, Japan, Mochi, Red Beans | Permalink. I have referenced Ed’s Real Scoop in some of my previous posts but never actually spoke about them in detail. 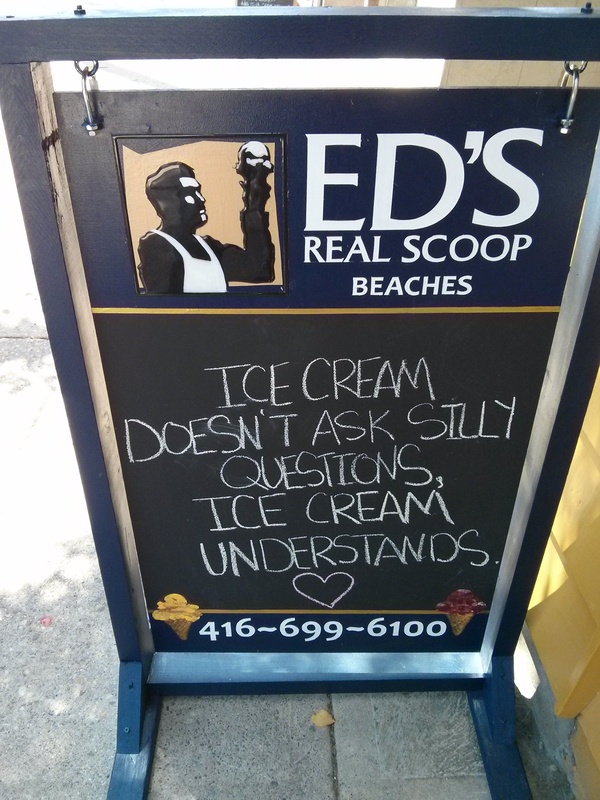 If you are ever in Toronto, Ed’s Real Scoop would probably be one of the local favourites for their quality, variety and their hospitality. They make everything from gelatos, sorbets, ice creams and chocolate dipped desserts. 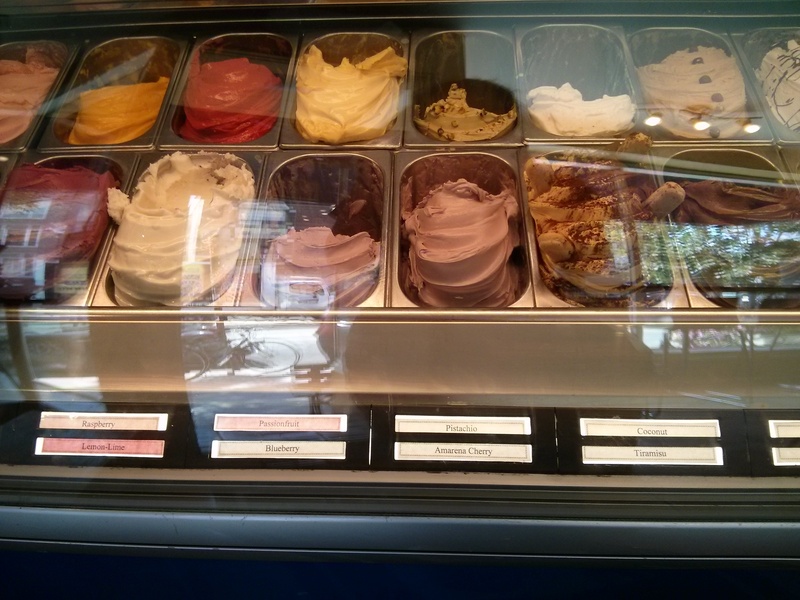 In terms of flavours, they offer everything from an espresso gelato to pumpkin flavoured ice cream. 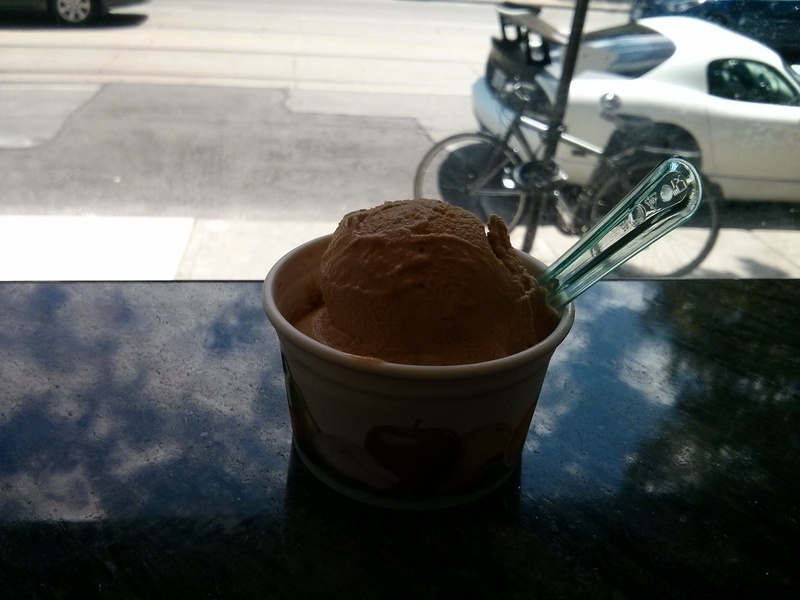 Categories: Food & Sweets | Tags: Beaches, Ed's Real Scoop, Gelato, Homemade, Ice Cream, Sorbets, Toronto | Permalink. 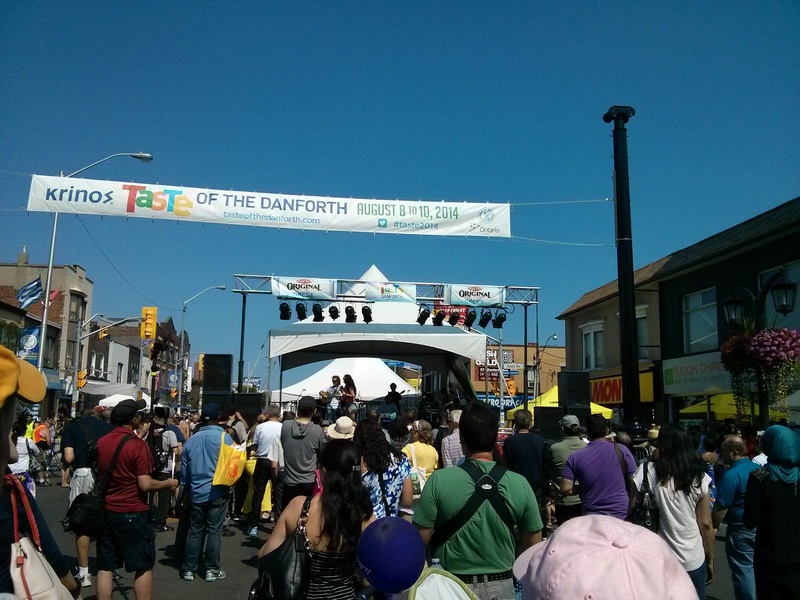 If there was a festival to attend in Toronto, the Taste of the Danforth would be one of the top ones to choose from. This is where you are bombarded with food along the street and it just gets bigger every year with more local businesses participating. For those that aren’t aware the Danforth Area is affectionately known as Greek Town by the locals because this is where you have a large Greek Community residing. 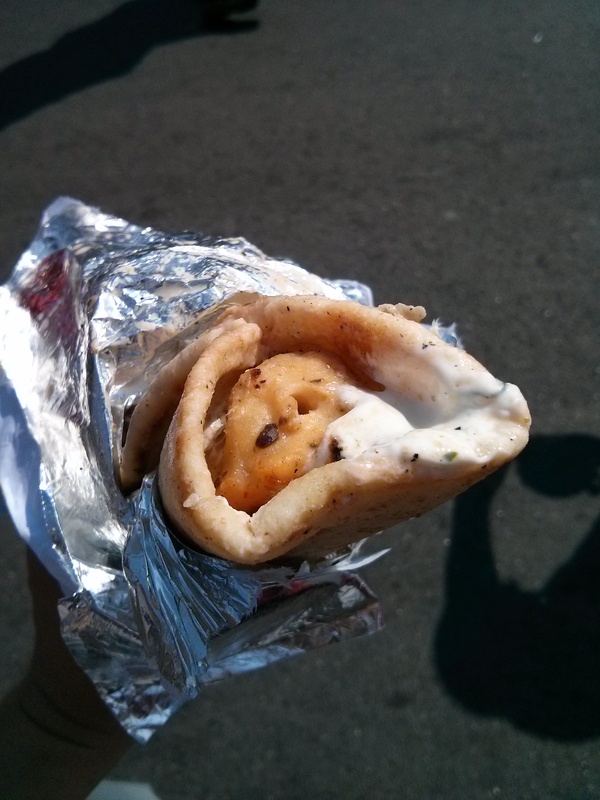 With that, there is no shortage of Greek restaurants along the street and a visit to the festival is never complete without a gyro (chicken, pita, tzatziki sauce, tomatoes, onion). In addition to gyros, there are a lot of bakeries selling Greek pastries and I just gravitated towards the spinach pie which was warm and savoury. 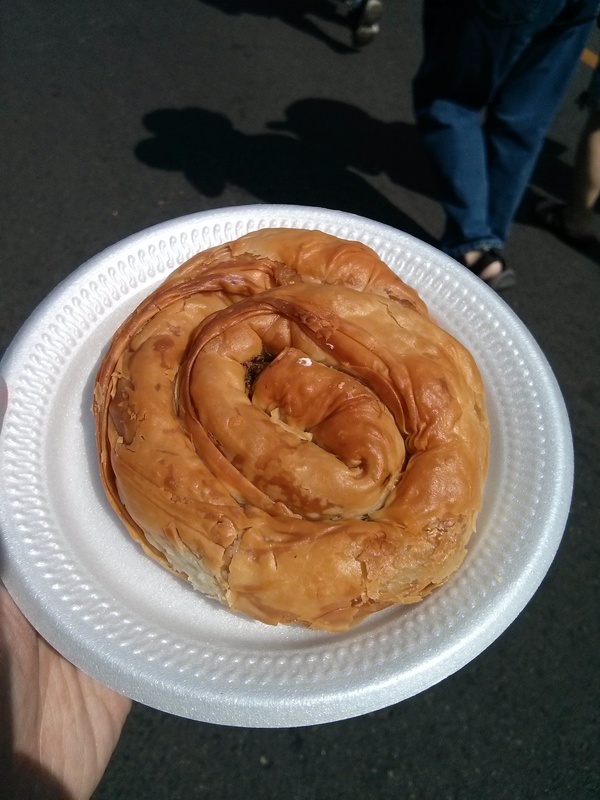 However, the festival isn’t just limited to Greek food because there are burger joints, pizza places, cafés, etc participating in the festival as well so you can seriously find just about anything you want. As much as the festival is about food, there is also the fun and games as well. There are amusement rides set up for parents to take their kids on which makes the environment very family friendly. 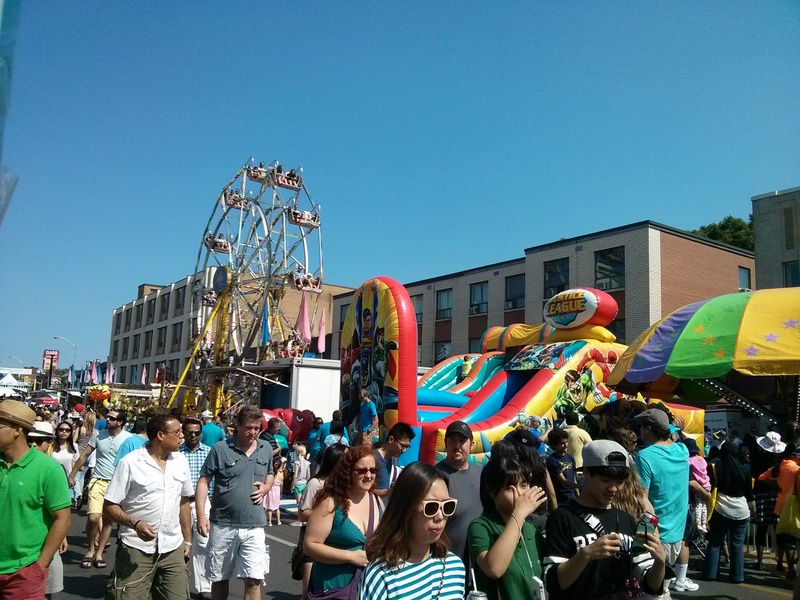 If amusement rides aren’t for you, there are also music stages set up across the street with traditional Greek music as well as modern music playing for attendees. 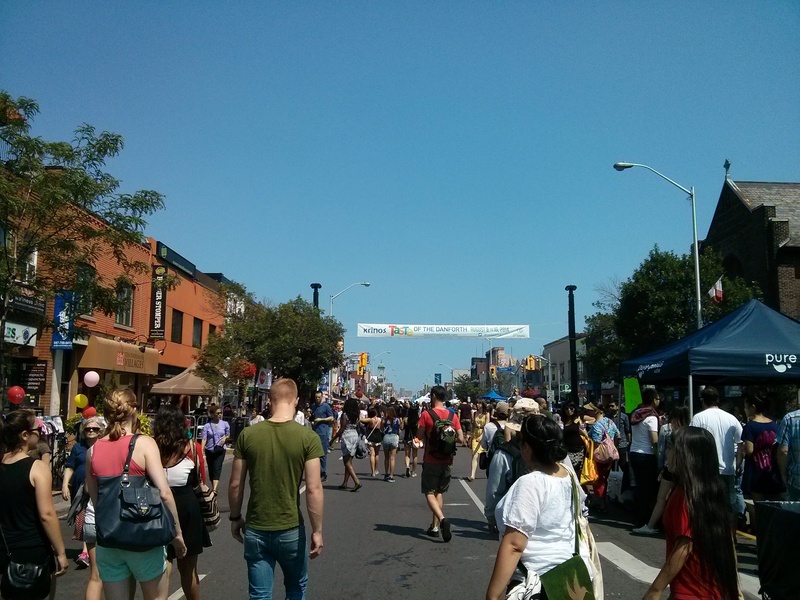 Categories: Food & Sweets, Toronto Sites & Sounds | Tags: Food Festival, Greek Food, The Taste of the Danforth, Toronto | Permalink. Once again, my cravings for sushi strikes again but this time I decided to be a bit more creative. Whenever I make sushi, I usually make extra for my family but I didn’t just want to pack up sushi in a box. 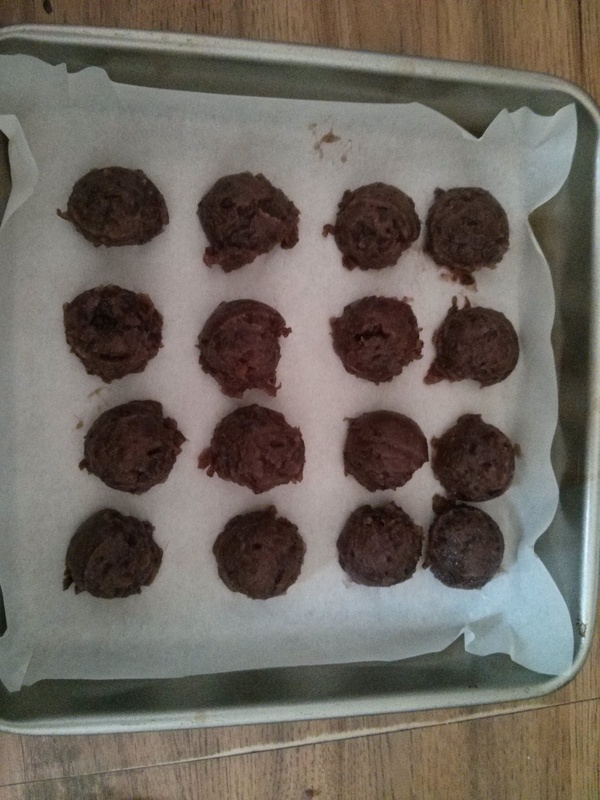 I decided to use the left over ingredients to make tiny little rolls in order to form random designs in order to give the arrangement an extra something. 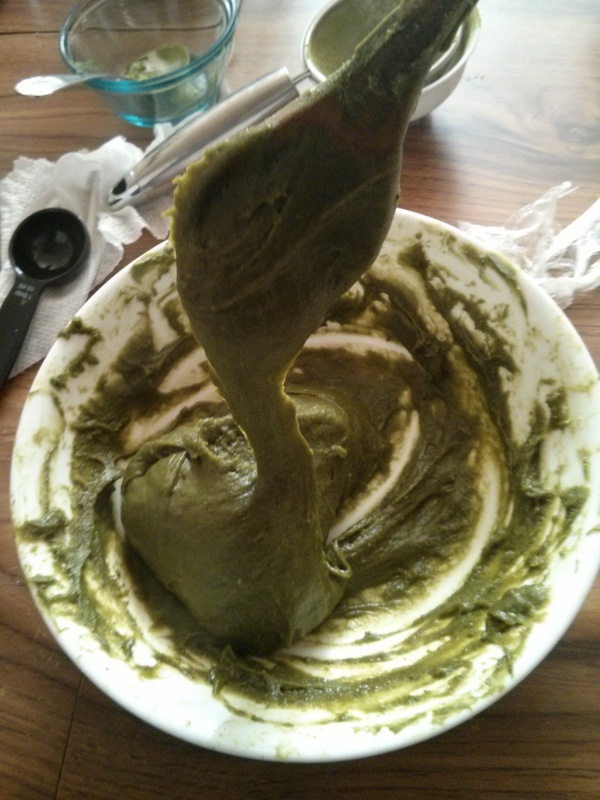 What I would consider to be the actual finishing touch of this experiment was the wasabi leaf. Whenever I go out to eat, the wasabi often just comes in a blob but given the rich colour, why not try to mould it into some beautiful? 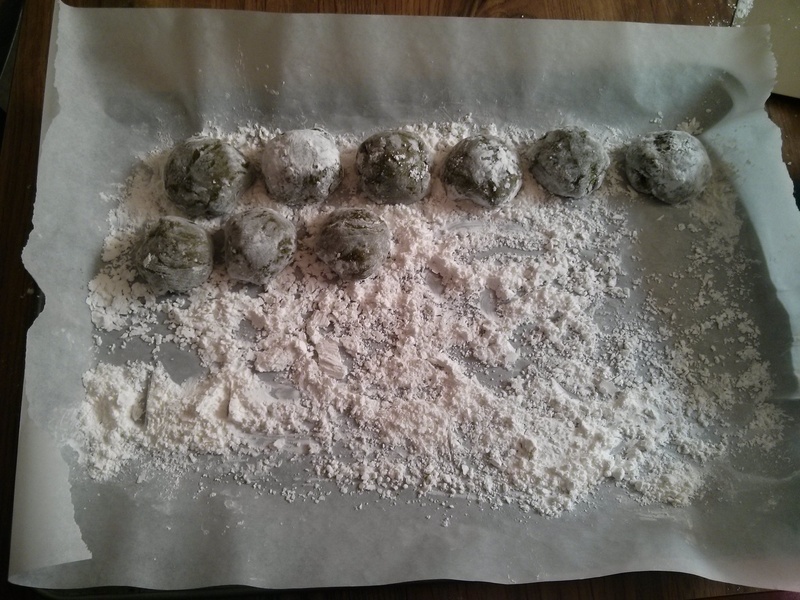 In addition to making sushi, I wanted to be a bit more ambitious this week and attempted to make mochi for the first time. 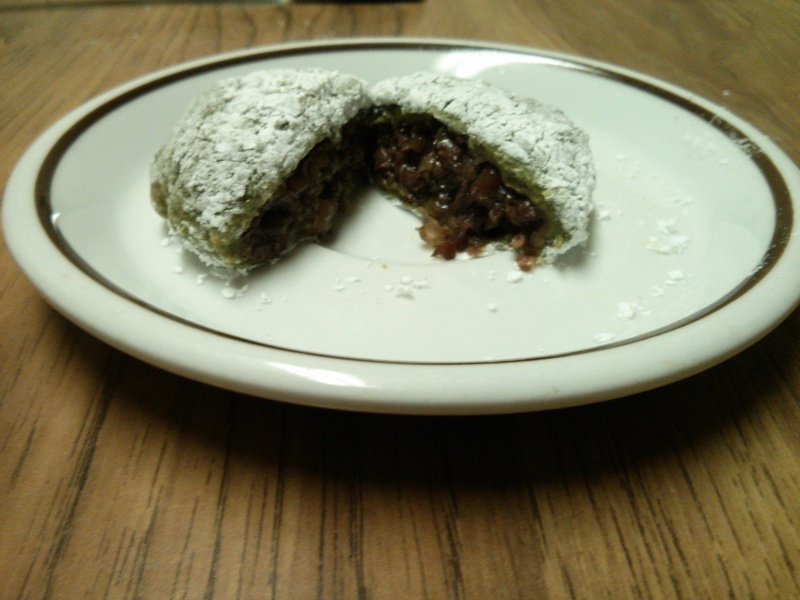 I must admit, my mochi was seriously lacking in the red bean/dough ratio but this is just the beginning. 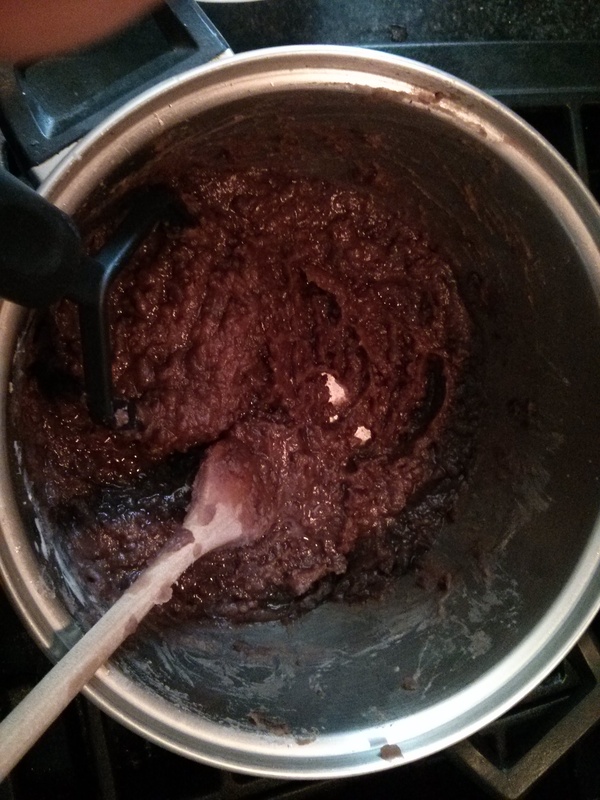 I am hoping that after a few more tries, I can get a better feel for it. I think this is the beauty of food in general because it involves a bit of science, a bit of art and most importantly a lot of patience. 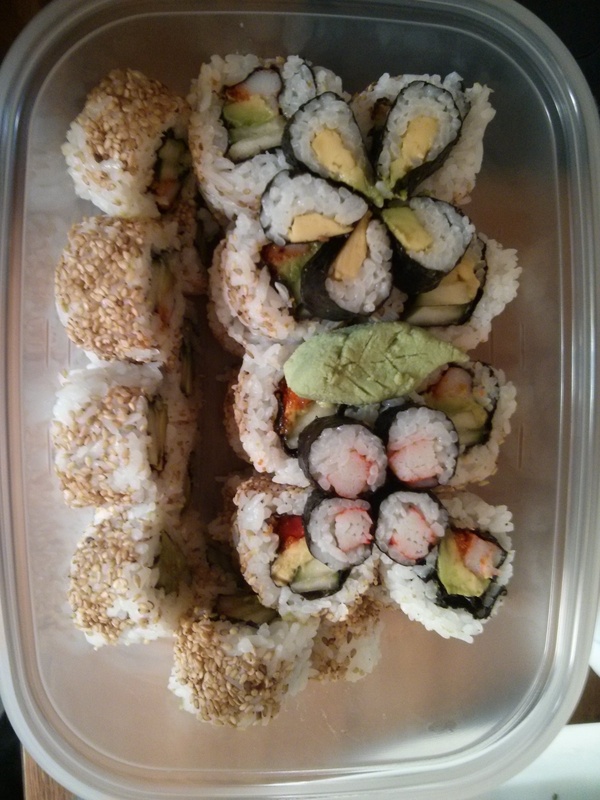 Categories: Food & Sweets | Tags: California Rolls, Japanese Food, Mochi, Sushi | Permalink. It’s been a while since I’ve posted a new tune here and what better way to usher in a new month than to discover some new music. I’ve recently came across this song through a new drama called “It’s Ok, That’s Love” and I just fell in love with it. Check it out! Categories: Music | Tags: Cross My Mind, It's Ok That's Love, Korean Dramas, Twin Forks | Permalink.